Roger Ebert, whose face was on television for the better part of 20 years, has pretty much given up on having his jaw restored by surgical means. He’s lost his ability to speak and eat thanks to jaw and mouth cancer, but he’s still got his ability to think, and that’s what matters for a man in Ebert’s profession, reviewing movies. 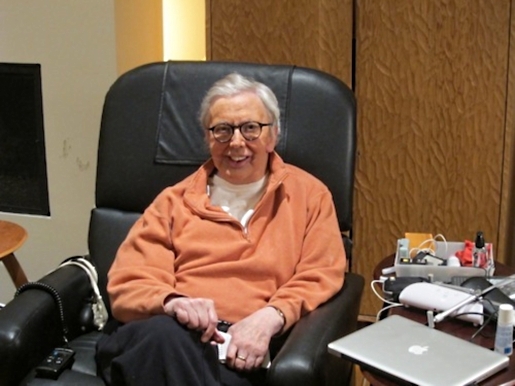 That said, Ebert’s got a new television show in the works, thanks to the miracle of voice restoration software and plenty of samples of Ebert speaking over the years, and now a miracle prosthesis has given Roger Ebert his jaw back. Ebert’s new silicone jaw was created by Dr. David J. Reisberg, a facial reconstruction specialist from the University of Illinois in Chicago. Roger Ebert’s return to television, Roger Ebert Presents At the Movies, will debut on PBS stations tonight, Friday, January 21. Check your local listings for times in your area.